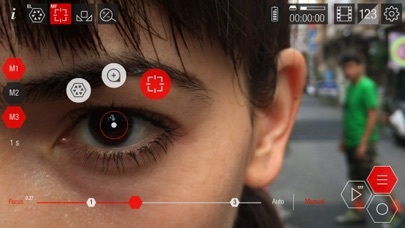 ** Featured in App Store "Best New Apps" and "Make Great Videos" ** Guerrilla Filmmaker combines the feature set of a pro video camera with the touch gesture interface of an iPhone to create a full featured video camera app with quick and easy controls. 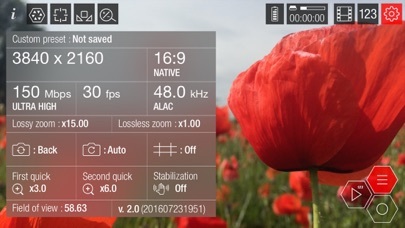 ● 4K resolution (device dependent) ● Video bit rates up to 150Mbps (device dependent) ● 48.0kHz audio sample rate ● Focus peaking tool ● False color tool ... and lots more. 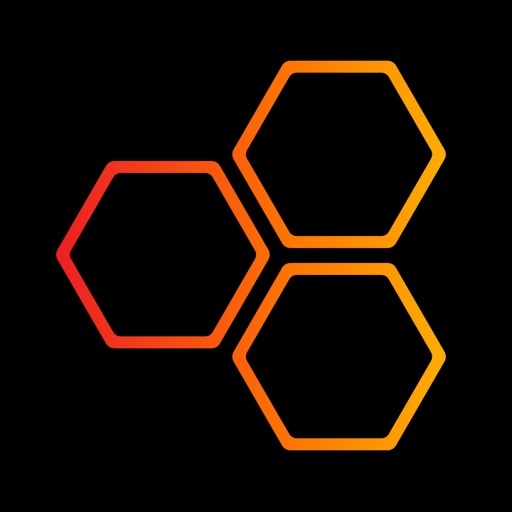 Guerrilla Filmmaker Provides a unique programmable interface to create simple or complex automated sequences for all camera functions (focus, exposure, white balance, zoom). ● Create a timed sequence for as many points as you need to pull focus for in your scene. ● Quickly rack focus between actors in a dialogue two shot or time a gradual, dream-like, focus change. ● Automate a long, smooth, Kubrick style zoom. ● Time a change in exposure or white balance as you move from outdoors to indoors in one continuous Scorsese style tracking shot. ● Create your automated sequences, start recording, hit the play sequences button and film your scene hands free. 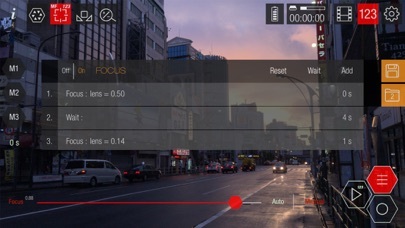 Full manual control of focus, exposure, white balance, zoom and image stabilization. Internal and external audio input control. Moondog Labs anamorphic lens support built in. Full range of aspect ratios to choose from or create your own custom aspect ratios to support any external lens. Playback your recorded clips with the built in custom video player. Set the playback frame rate to see your clip in fast or slow motion. Share your recorded clips via AirDrop or direct to iMovie or connect your iPhone to iTunes and transfer your clips directly to your computer. 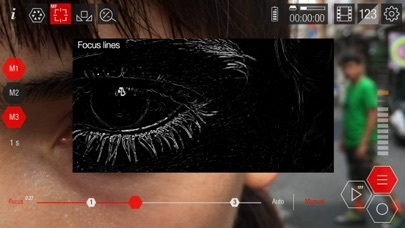 Guerrilla Filmmaker aims to be the go-to video recorder app for all low budget, no budget, guerrilla filmmakers out there. Keep those feature requests coming and if you're enjoying Guerrilla Filmmaker please consider leaving a review on the App Store. Sharing your film clips is now easier to find and easier to do. Share multiple files at once. Delete multiple files at once. Added a new aspect ratio. Fixed some UI glitches in the settings section.